We’ve all heard it said that it’s easier to keep a happy client than to lose an unhappy one. The unfortunate truth is that unhappy people are more likely to spread their ill feelings about something or someone (whether justified or not). Here’s a few excellent ways to get your happy clients to spread the word about you. Video testimonials — Video is an extremely valuable marketing tool in today’s high-tech world. Ask your clients if they would be willing to give you a video testimonial. Set a time with them and start recording. Put all your testimonials together in one video and post it to YouTube, your website and blog site, and social media. 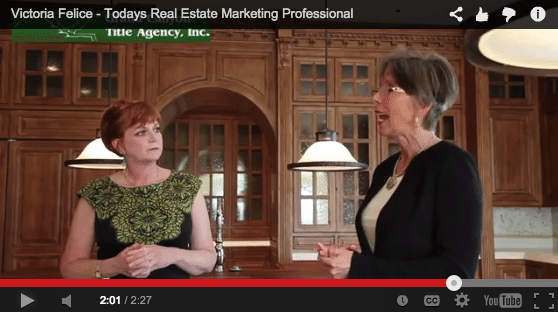 Victoria Felice did an awesome job of creating a testimonial video below. It certainly has the WOW effect! Referral rewards — How many times have you read this sentence: “The best compliment I can receive is a referral from a client”? We love referrals because they let us know that we are doing a great job and that our client has the trust and confidence in us that we will do the same for someone else. To encourage referrals, try offering a “Referral Rewards” program. This could be in the form of a credit, a gift card or something else of value. Online referral requests — Sites such as LinkedIn, realtor.com and Trulia provide ways to request a referral from past clients. Your response will be great if, instead of sending out the default email provided on these sites, you write your own request in your own words. Make your website a testimonial machine — Provide an opportunity for clients to post a testimonial on your website. This is easily done by creating a form on your site where people can just “fill in the blanks.” If you have a WordPress site, you can find tons of testimonial plug-ins that are easily installed on your site. Request feedback — As part of your closing package, include a feedback form. Ask your clients to complete it and email or mail it (include a stamped, self-addressed envelope) back to you. Shoutouts — Your clients should already be connected to you on social media. Publicly congratulate them on their home anniversary, birthday or other special event. Write a blog post about awesome customers and specifically add their name to the post. Then, give them a link to the post. If you’re sending out email blasts to your prospect list each time you post, this offers a great opportunity for them to see your dedication to your clientele. These are just a few ways to get your happy clients to spread the about you. I’m sure you are employing some, if not all, of these tactics in your own marketing efforts. What methods do you use to let your clients do the bragging for you? This article by Pamela Cendejas of Second Self Virtual Assistance was posted on ActiveRain. Reach out to Pamela on her website here.